Singer cites 'family reasons' day after Soyuz accident investigation announced at Russia's Star City space base. The Russian Federal Space Agency Roscosmos has confirmed that British singer Sarah Brightman suspended her training for a tourist spaceflight to the International Space Station (ISS) and that her Japanese backup pilot Satoshi Takamatsu is continuing his training at the Gagarin Cosmonaut Training Center in Zvyozdny Gorodok (Star City) outside Moscow. 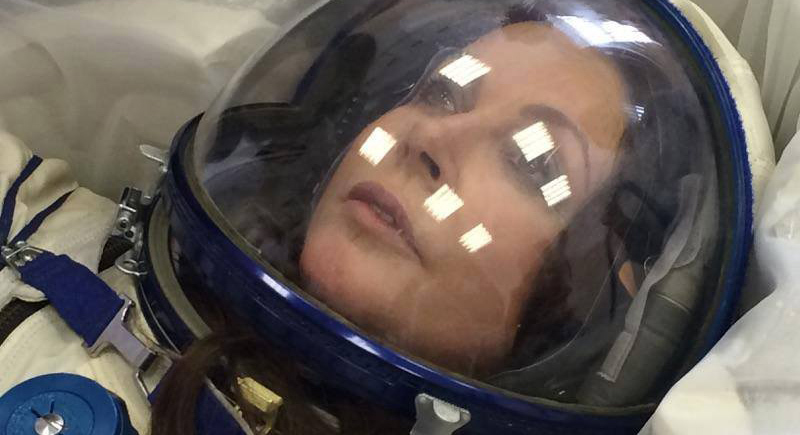 "Sarah Brightman has ended her training at the Cosmonaut Training Center. Her backup pilot, the Japanese astronaut Satoshi Takamatsu, is continuing his training in Zvyozdny Gorodok under a contract between Roscosmos and Space Adventures," Roscosmos said in a statement shared with Interfax-AVN on Thursday. It said Brightman suspended her training "for personal family circumstances." She expressed her "extreme gratitude to Roscosmos, Energia, GCTC [Gagarin Cosmonaut Training Center], Star City, NASA and all the cosmonauts and astronauts, for their support during this exciting time," it said. "Roscosmos, on its part, hopes that Ms. Brightman's beloved ones will be fine," it said. It was reported earlier that Brightman had announced a day before that she had postponed her spaceflight. "Sarah Brightman announced today that she is postponing her plans to launch aboard the upcoming Soyuz TMA-18M spaceflight mission. Ms. Brightman said that for personal family reasons her intentions have had to change and she is postponing her cosmonaut training and flight plans at this time," an announcement on her personal website says. The new composition of the crew that will head to the ISS onboard Russia's Soyuz-TMA-18M spacecraft on September 1 will be determined in the coming days, a source in space rocket sector told Interfax-AVN. "At the moment, several candidates are being considered to replace Sarah Brightman, who refused to fly [to the ISS]. Unfortunately, her Japanese backup pilot Satoshi Takamatsu will not be able to join the main crew and fly to the ISS as a space tourist because such a contract has not been signed with him," the source said. The contract signed with the Japanese citizen only allows him to train in Zvyozdny Gorodok, he said. "Mr. Takamatsu just wanted to get the idea of the training course and its curriculum. Clearly, the price of his contract does not come within miles of the price for a ten-day flight to the ISS," he said.